Of all the video game events that happen every year, the Game Developers Choice Awards might be the ones that resonate most with game-makers. That's because they're determined by the masses of folks who make video games vote to nominate the best examples of the form from the preceding months. For this year's GDC Awards, the games getting the most nominations are Journey (named in six categories), Dishonored (four categories) and The Walking Dead (three). The new Narrative category highlights Spec Ops: The Line and Virtue's Last Reward among others while the Innovation nominees include FTL, ZombiU and Mark of the Ninja. 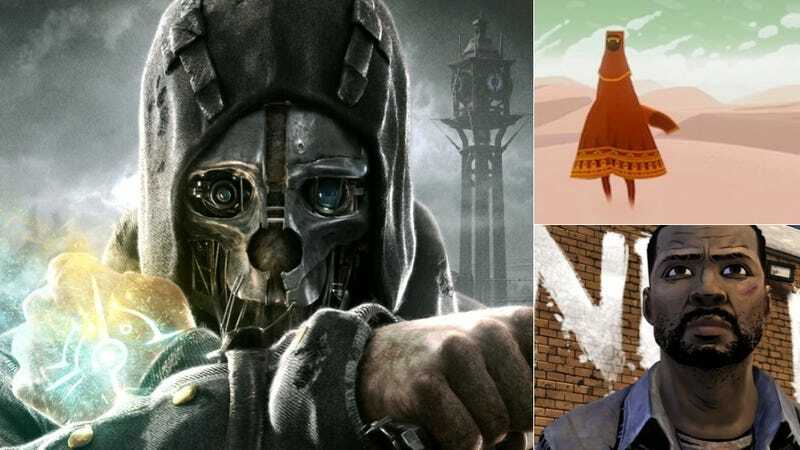 The full list is below, and shows off what a great and diverse year 2012 was for gaming . The 2013 awards ceremony happens on March 27th during this year's Game Developers Conference.